Four people killed in shooting in La Loche, Canada. 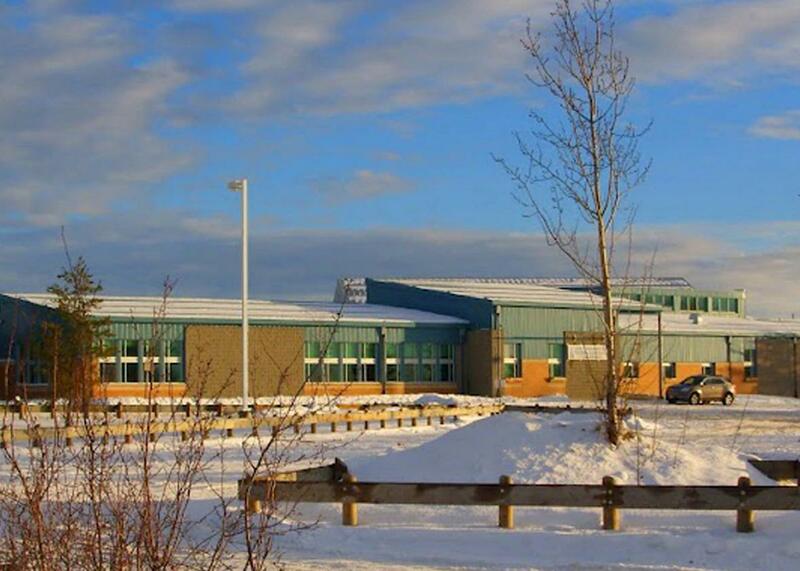 The Dene high school campus of the La Loche Community School is seen in an undated photo. A small town in northern Saskatchewan, Canada is grieving on Saturday after a gunman killed four people, including a 23-year-old teacher. Initial reports claimed five people had been killed in La Loche but those were mistaken, although there are two people in critical condition. A suspect has been apprehended but was not publicly identified. Very few details about the shooting have been released. But it seems the shooter first gunned down two siblings at his home before going to a high school and killing two more people. “He shot two of his brothers at his home and made his way to the school,” the father of the teacher told the Associated Press. The town of 2,600 people only has an employment rate of 20 percent and has made the news in recent years due to its high suicide rate, notes the Globe and Mail. Prime Minister Justin Trudeau expressed his condolences from Davos. “The country’s heart is breaking for the people of La Loche, Saskatchewan, today,” he said. It’s rare for mass shootings to take place in Canada. The country suffered its worst school shooting in 1989, when 14 college students were killed. In 1992, a shooting at another university killed four people.